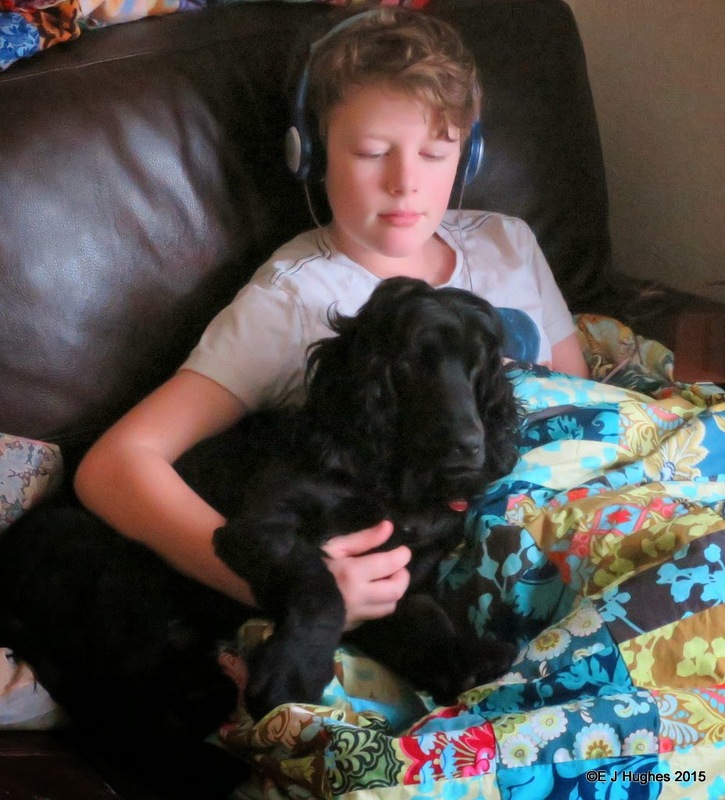 On a weekend morning, Alex is often up early so he can play Minecraft or other "educational" computer game. Muppet likes to help out; he is getting quite adept at opening apps on touch screens and typing on keyboards, whether you like it or not! The sky this morning was clear (even of contrails from the aircraft) and the sun was rising fast. 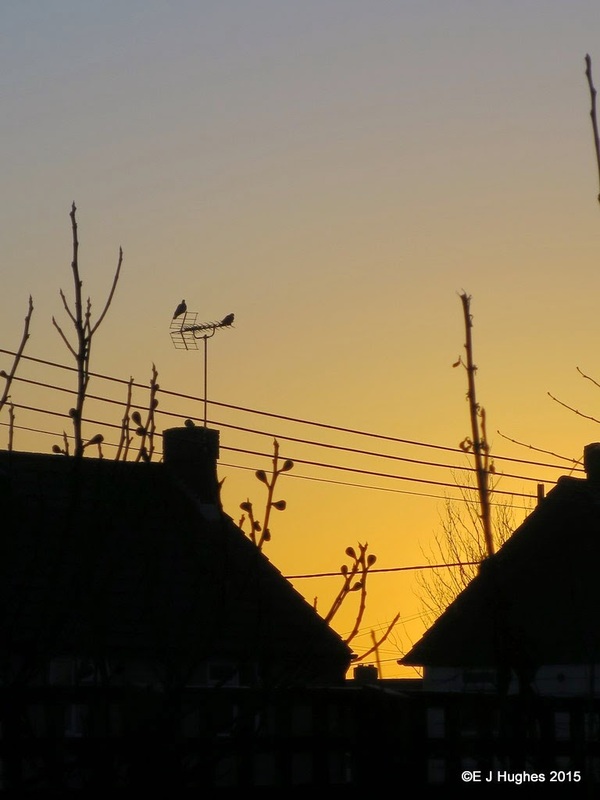 There was a nice contrast between the silhouette of the distant houses and the dawn. The pigeons on the TV aerial seemed to be waking slowly too. 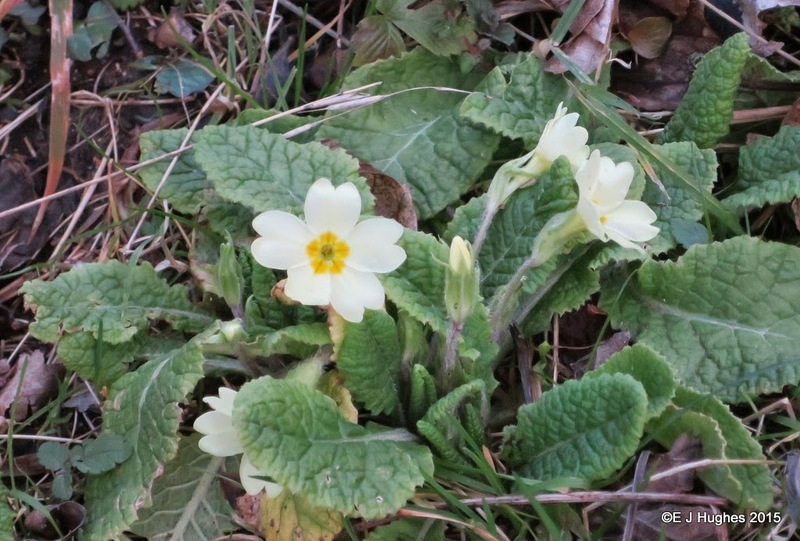 They have been growing well now for a while, but the flowers on the Primroses are finally all starting to burst into bloom. I have not seen any bees around on the flowers yet, but the weather is having some warm days and I am sure the nectar is thawed. Jo has made a number of lap-quilts to keep us warm in the evenings while we sit on the sofa. 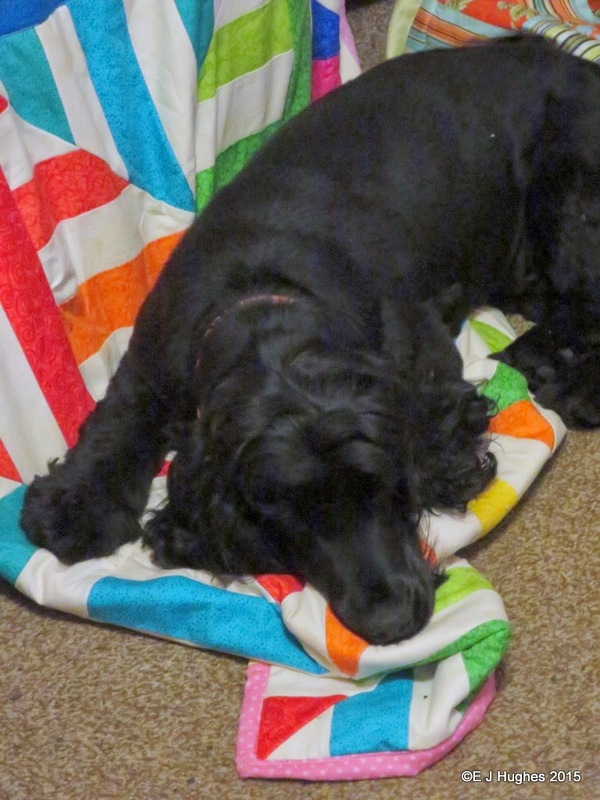 Muppet has decided that he really likes the quilts; but only if he can lie on the end of them. He wriggles in his sleep and slowly pulls more and more to lie on, attempting to wrestle away the quilt from the occupant's lap! Puppies are great; as long as you are not a toy! 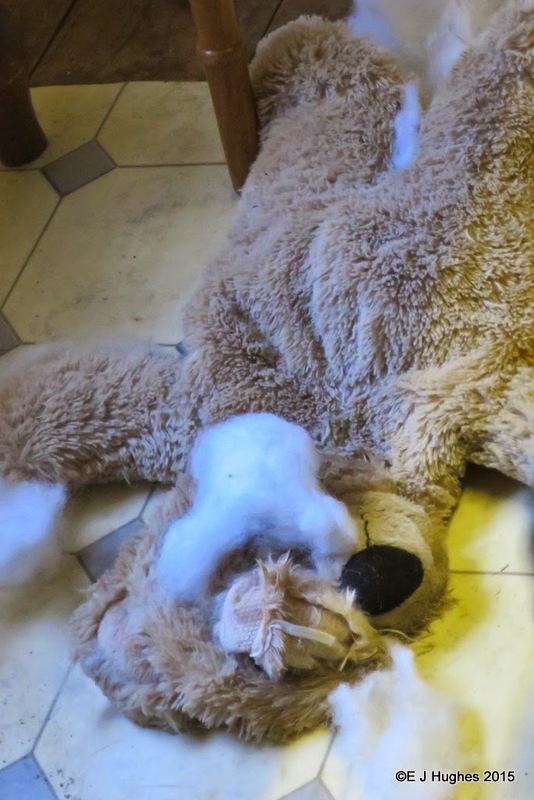 The stuffing of this bear is now spread around the kitchen; the dogs still seem to like it however, even if it is disfigured and going flat. Today the weather has been rather inclement. 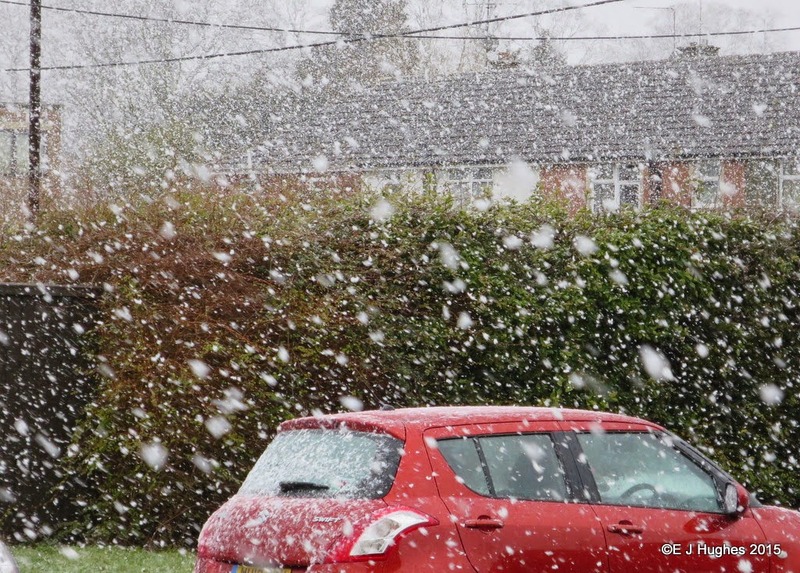 There was quite a heavy shower of snow with huge flakes, but it did not last long enough to settle other than on the cars, and melted super fast. I will wait a few more weeks and then see if there are any snow shovels going cheap; then keep my fingers crossed for decent snowfall next Winter. 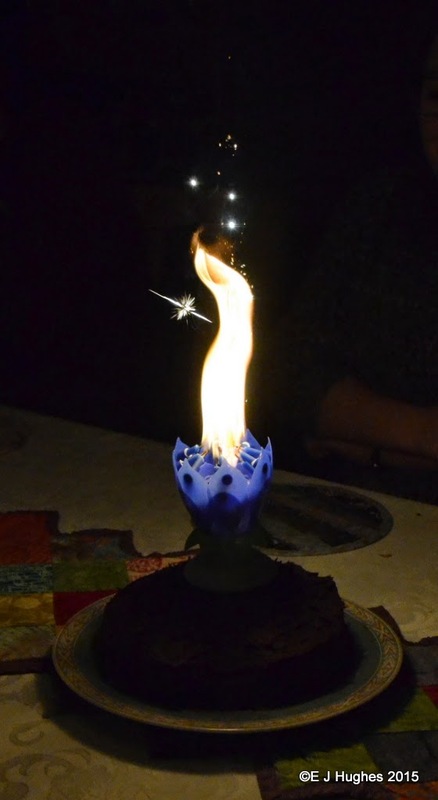 Today's birthday cake had a fun candle on it; there was a firework spectacle, and then it rotated and played a tune. The candles at the base all lit and unfolded, but the rendition of "Happy Birthday" sped up and slowed down at times, making it more Hammer House of Horror than Disney! The kids liked the cake however. I have been playing 'guess the contents' for a few weeks now with the bags in the freezer. 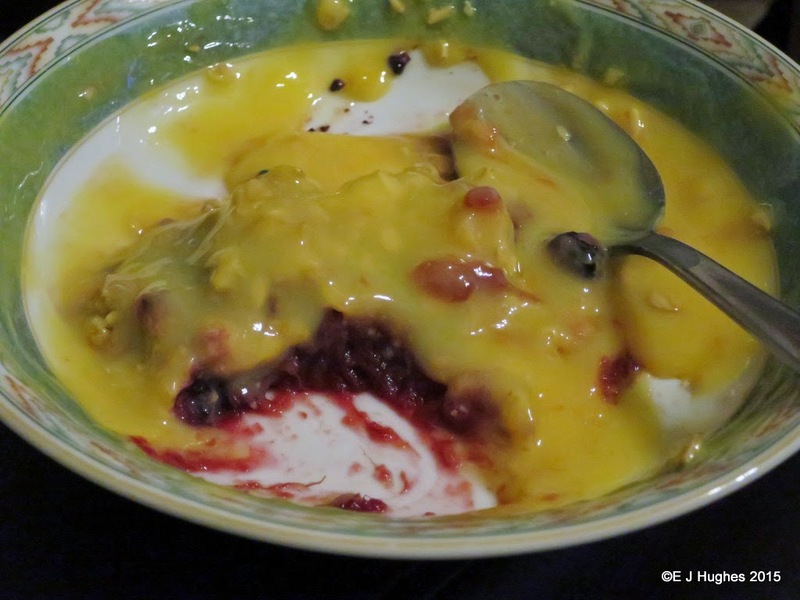 The peeled-but-not-cooked apples are ok to identify, and the uncooked blackberries of today's effort were ok too. I did defrost a bag of cooked plums first though that turned out to be beetroot soup from a few years ago... The plum tree has been dead for a few years too so the issue that any labelling had worn off was plausible! 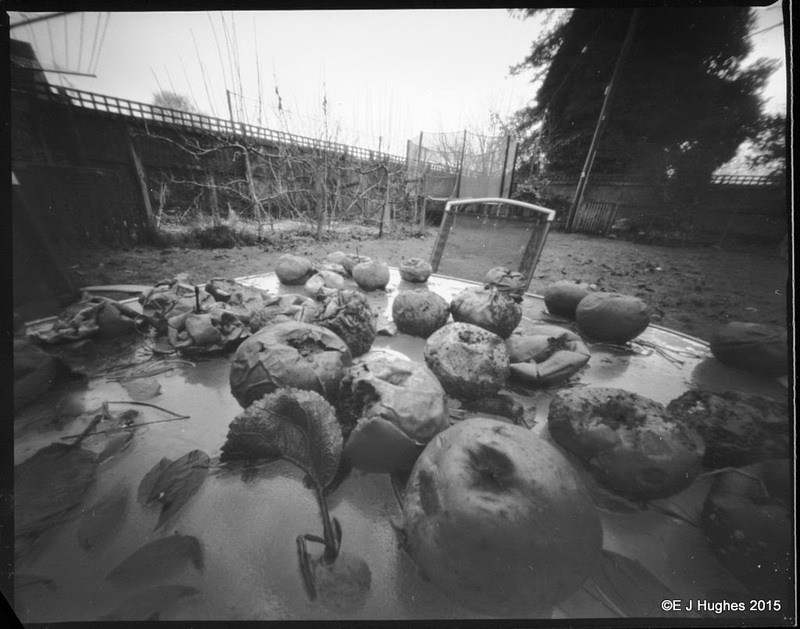 I had another session in the garden with the pinhole camera today. I have not had much time (or have we had dry weather) to tidy up the garden after the Summer and Autumn. There was a lot of brown rot in the apples this year, and a fair few are still around in the garden. They were happy to pose for one of the pictures. The wind was low today so the dead strawberry leaves were nice and still for the half hour it took to take the other picture. As it is half-term, Alex and I have spent a few hours having some fun with robotics. 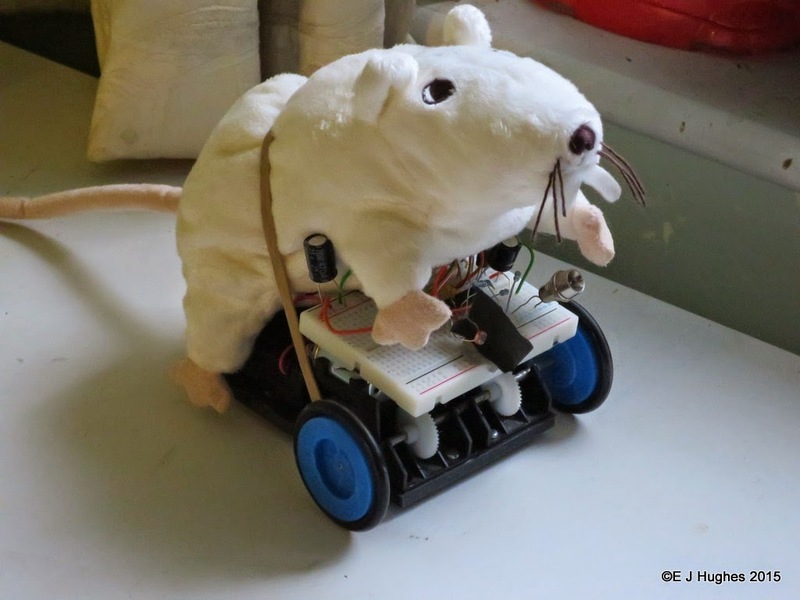 With a pair of motors and gearboxes, a bit of printed plastic, some components a processor and some software, we have a bionic rat! We gave it two photocells to act as eyes, and wrote the code to home-in on a flashing light. Katie wanted some new furniture for her room for her birthday, so we decided a trip down to Ikea may be a sensible option. We had lunch in the cafe before exploring the store; there are some things that never change at Ikea, their meatballs are still fab. 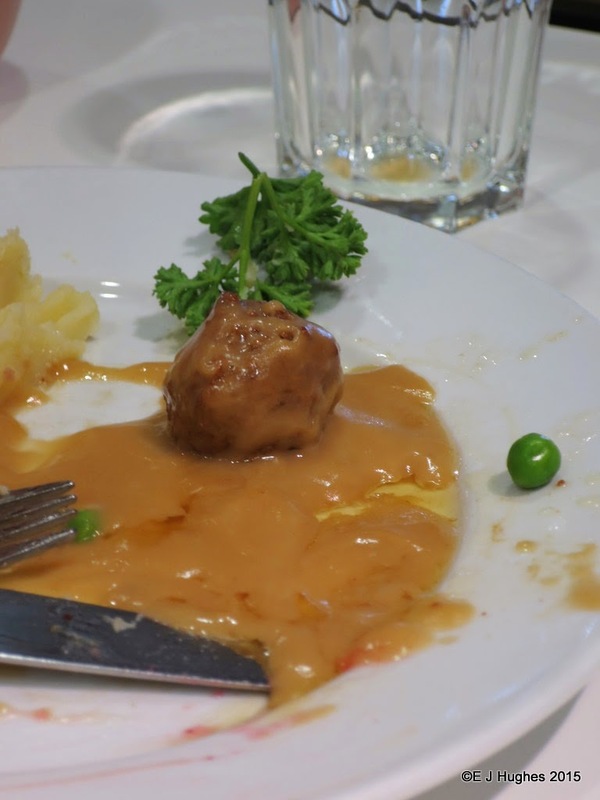 This meatball did not stay lonely for long (I ate it shortly after its photo opportunity). 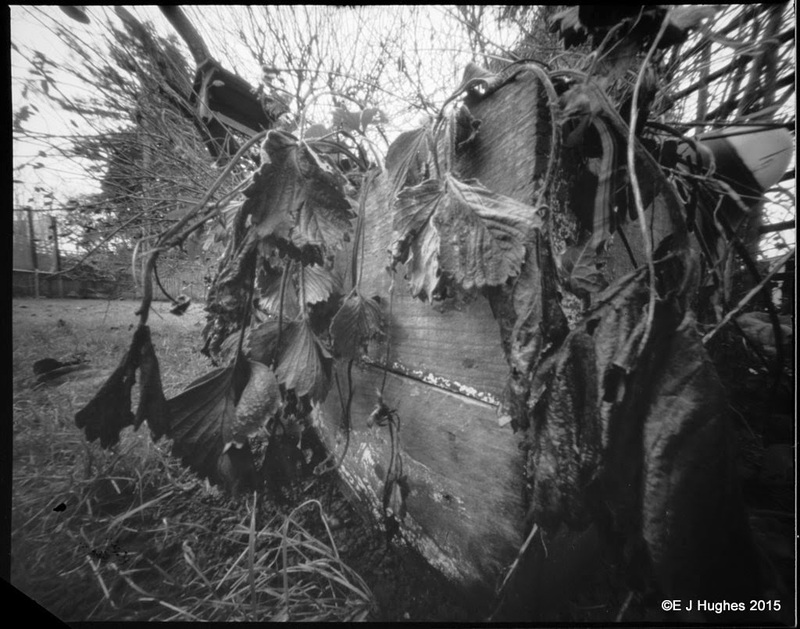 Ilford VC paper negative, f/150 10 minutes. 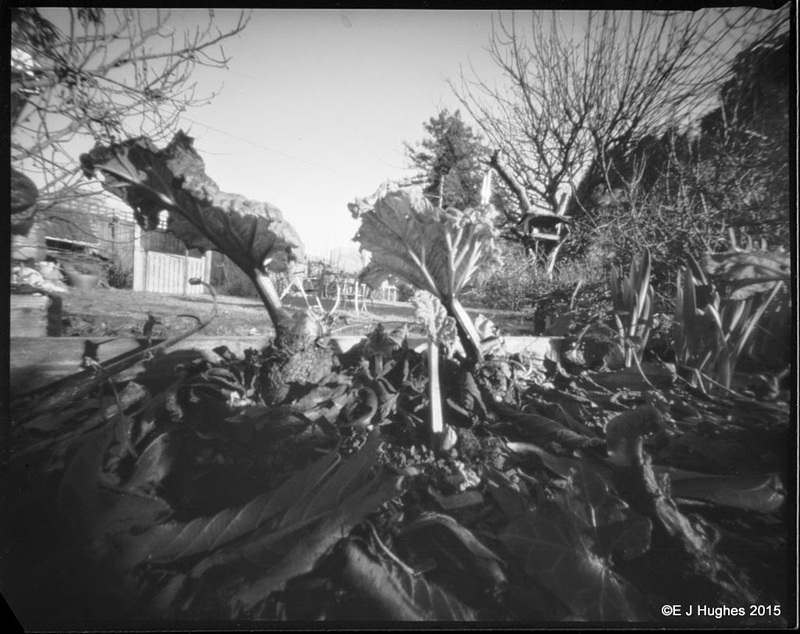 I got out the folding pinhole camera today and captured a picture of the Rhubarb as it starts to stretch its leaves. The chickens have not quite found the fresh leaves yet; I must trim their flight feathers to stop them getting out before they decimate my future crumble supplies. 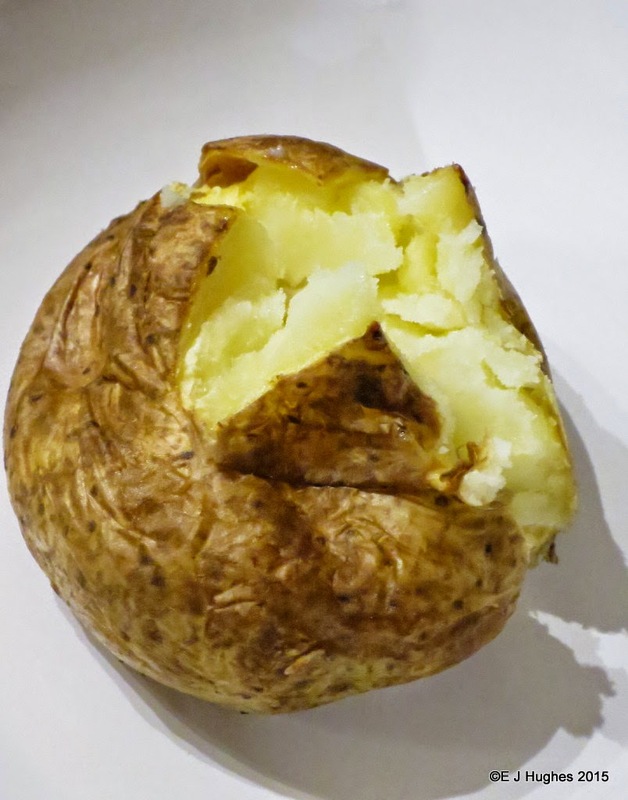 The humble potatoe is amazingly versatile, but super tasty when just baked very simply. All this one needs is a good chunk of a smelly blue cheese. A few years ago I ran Ethernet cables around the house, but stopped short of going across the landing to the kids bedrooms. 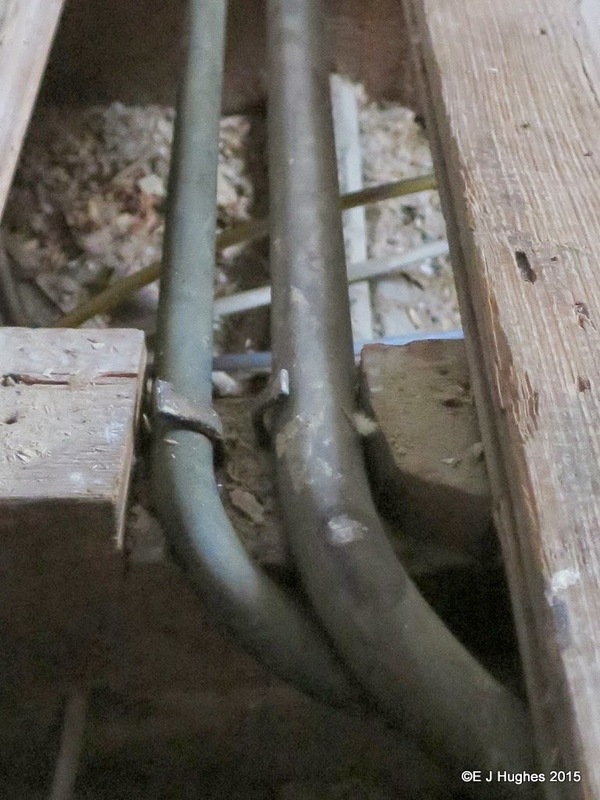 It wasn't that I did not want them with internet, it is just I knew it meant ripping up floorboards and would be a sod to do. Liz has been nagging for quite some time, so this weekend I gave in. It also meant that I could sort out the squeaky boards and nails that have worked their way up through the carpet. 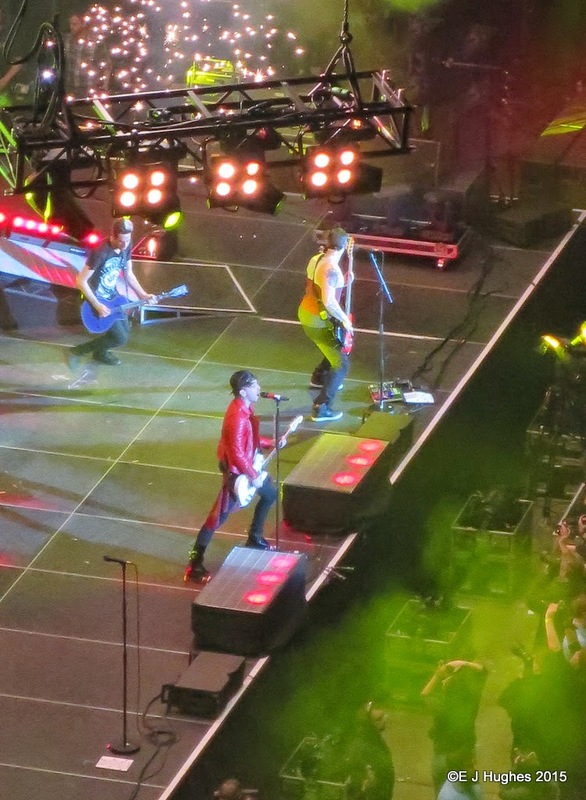 Under the floor was just as hideous as last time the boards were up! With a few more holes drilled and some swearing, the cable was laid in. We had a day out in London today. We were off to the All Time Low and You Me at Six concert at the O2 arena, which is a sod to get to, so spent the afternoon looking at the sights before heading to the show for the evening. 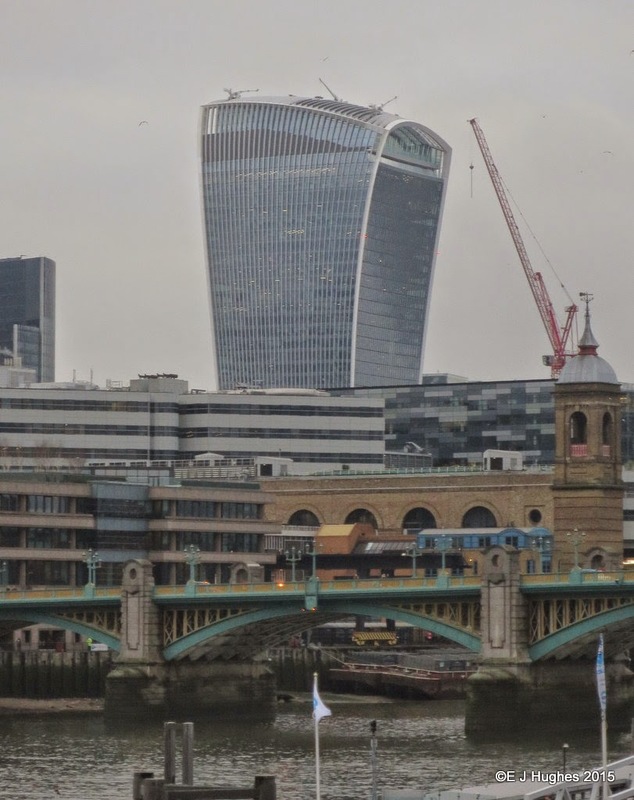 The weather was grey, but we had a look around the Tate Modern and a walk along the south bank. There is hope for me yet as an artist given some of the 'Emperors New Clothes' exhibits in the Tate. The concert was excellent and Katie and Becks enjoyed it thoroughly too. The flowing currant in the chicken pen is just starting to take on its Spring coat. 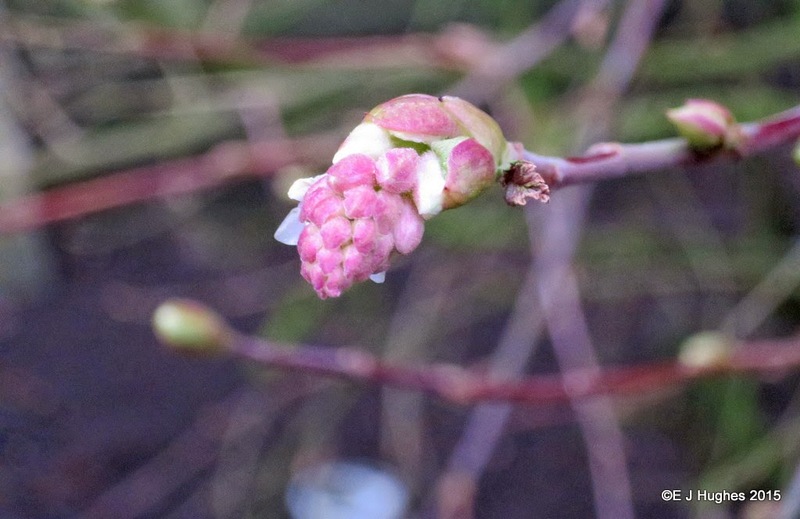 The buds are starting to burst and the pink flowers providing a subtle blush above the sea of mud below. Hellebores. Folding 5"x4" pinhole; 45mm f/255 5 hours. 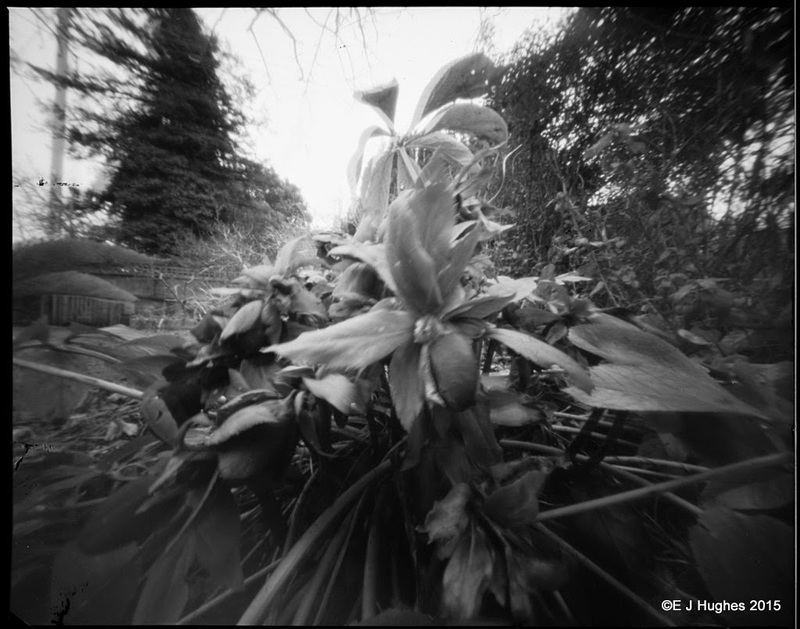 I dug out the 5" x 4" folding pinhole camera today. It has been gathering dust for far too long and deserved a chance to direct some photons onto silver. I set it up by the Hellebores, but the sky was cloudy and the exposure time was in hours. I left it out all afternoon and collected it up after dark; the exposure was just about right. 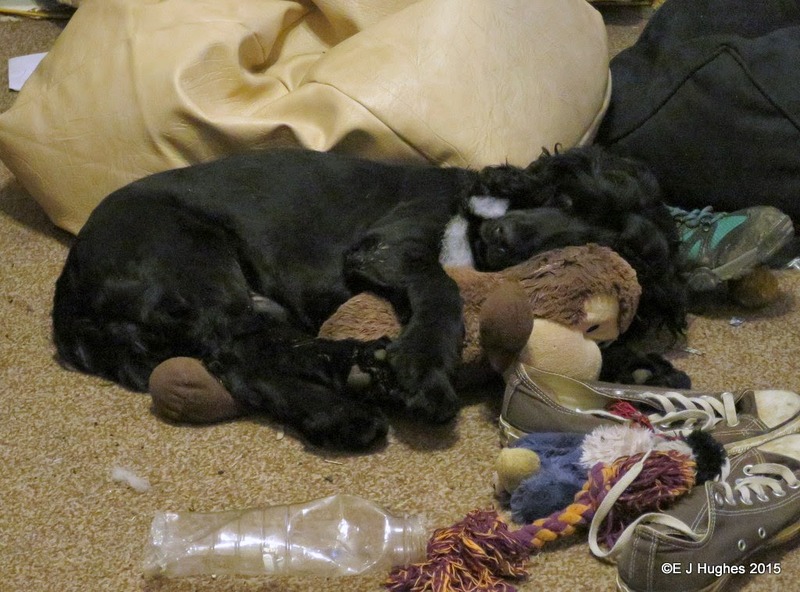 Muppet had a fun time running around the garden, but crashed this evening and had lots of cuddles with his Monkey. The chickens have all moulted and regrown their "hairdoo's". Unfortunately for all the flower beds, that means regrowing the flight feathers I trimmed last year. 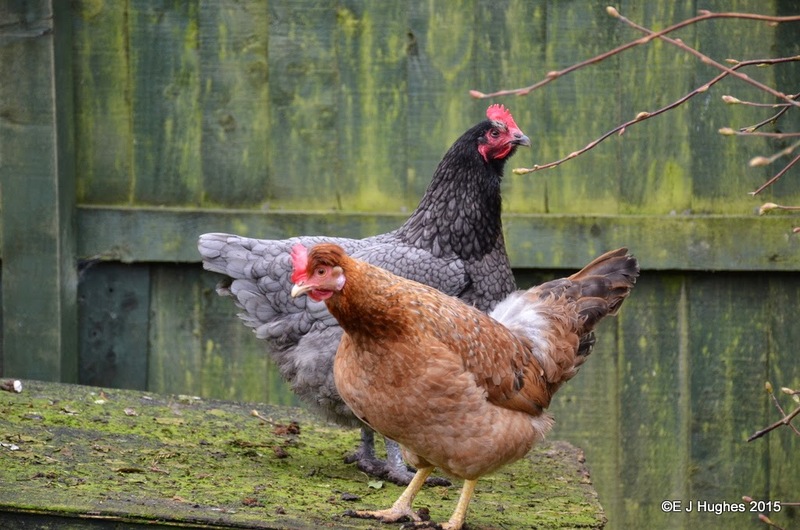 They can fly surprisingly high again now; onto the top of the chicken pen is easy, and so is over the garden gate. If I can catch them, another trim I think. It is interesting how as the seasons change and the meals we cook vary, one occasionally loses track of the opportunities for cooking. It has been quite some time before a courgette found its way into our evening meal. Tonight I rectified the omission. 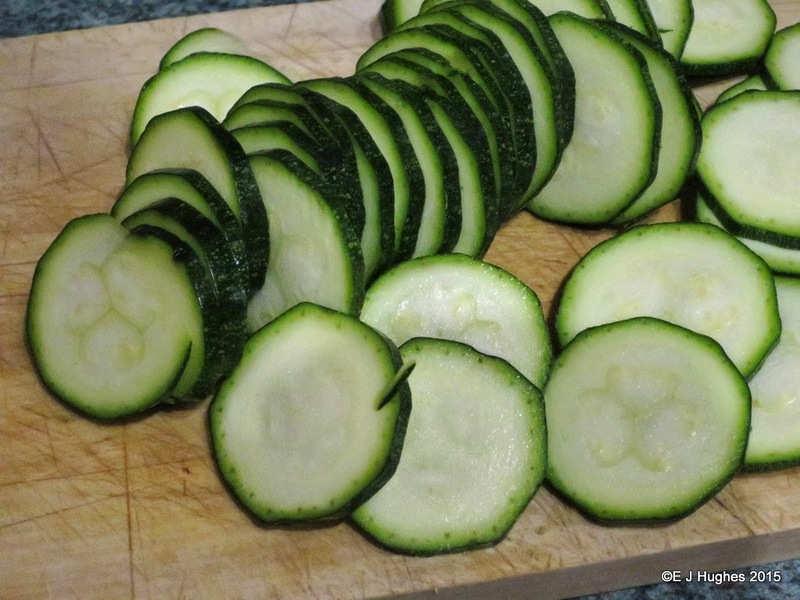 Or maybe we have not had courgette for a while because the kids whinge that they don't like it! 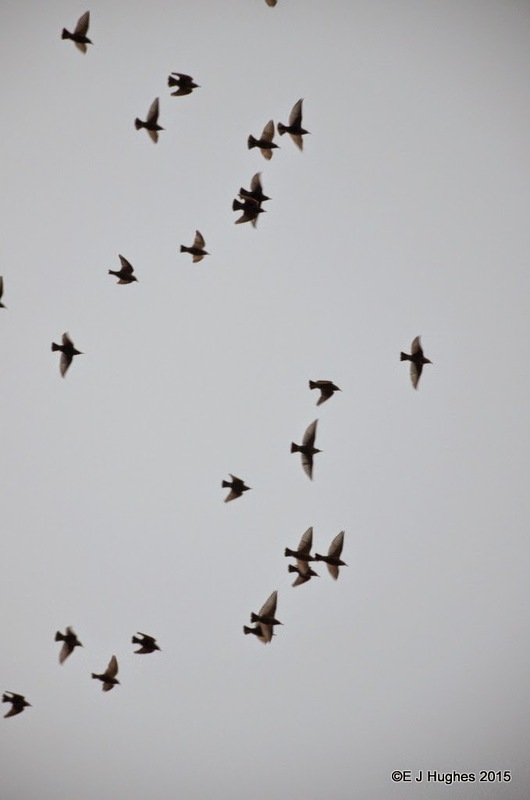 The flocks of starlings are growing each day. The car is turning from smoky grey to bird crap white. There was a flock buzzing overhead today so I managed to get some close-up photographs where you can see more detail of their wings. I will put the longer lens on to see if I can get any closer still; although it will mean straying into the 'bombing zone'. The pond was frozen over again this morning. I have not had time to clear out all the fallen leaves from the Autumn (i.e. the water is too cold to put my little dainty hands in). 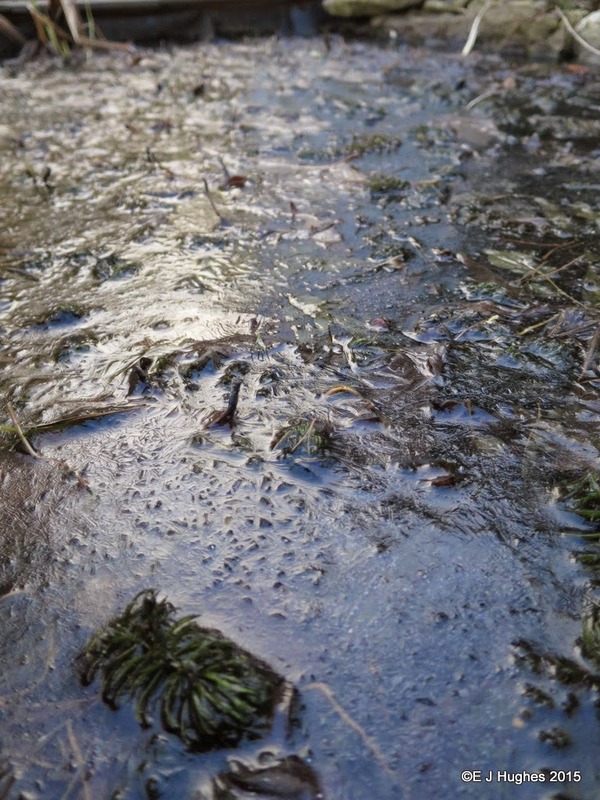 The fallen leaves in the pond did make the ice on the surface all knobbly though which was rather fun to capture. 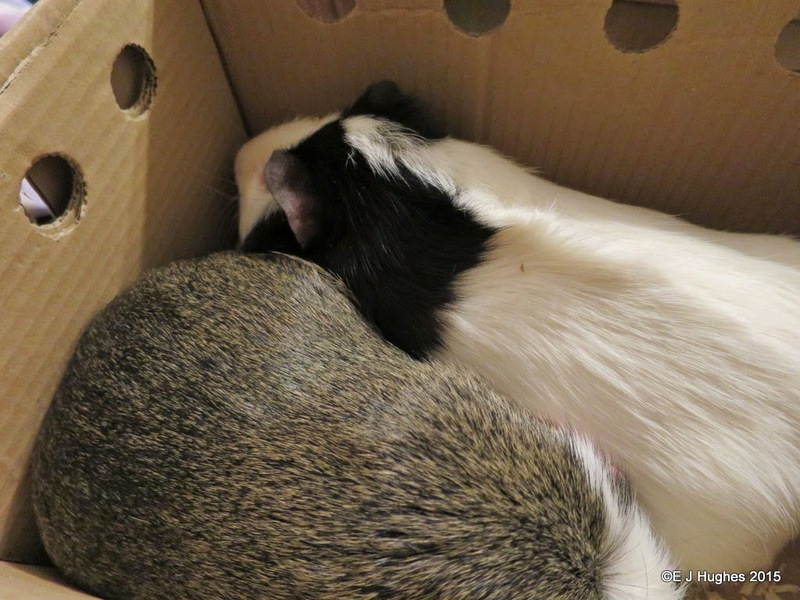 With the weather still being cold, the Piggies are in their hutch, but under the stairs. The kids were cleaning them out today so I sat with them on my lap for a while. Dad and I went down to Cardiff to see the Wales-England 6-nations match this evening. 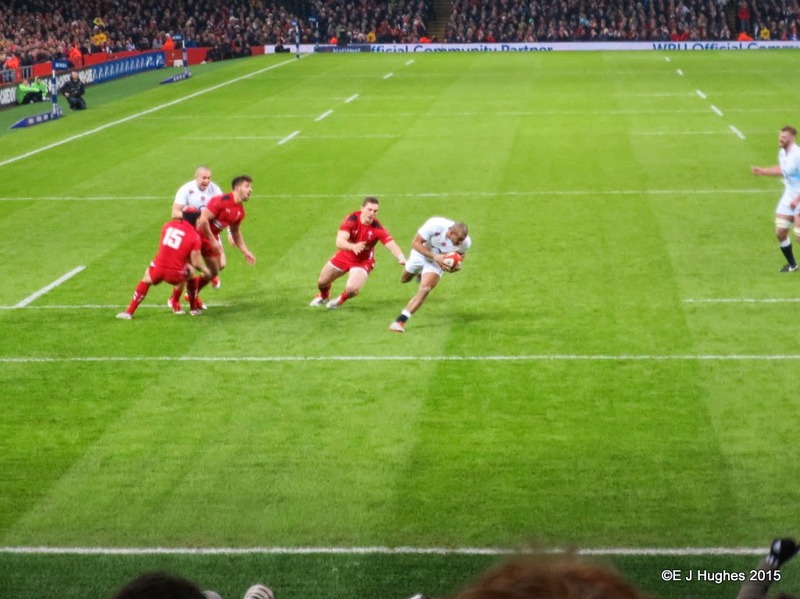 We had good seats behind the try line however and it was the opposition who put in the best try scoring show for me to capture. There are many items we look at regularly during the day; most we forget they exist quite rapidly. 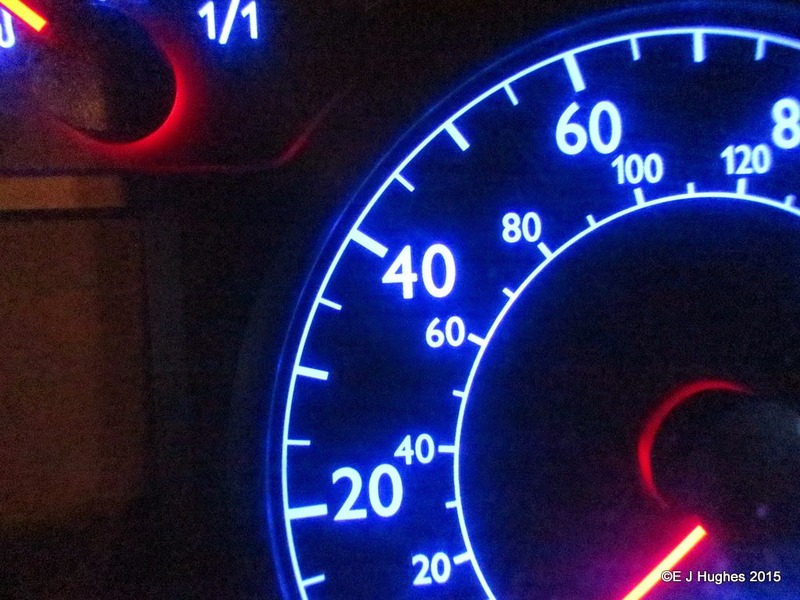 I look at the car speedometer regularly while driving, but the lights and colours of the modern dash board are really rather nice.